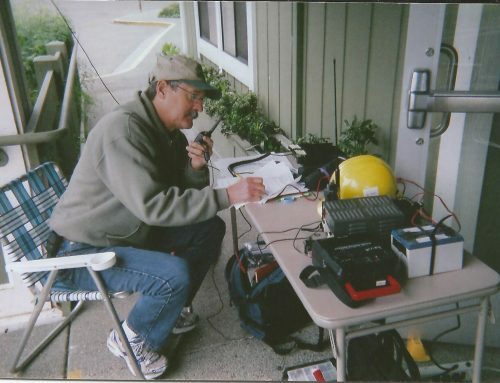 Several years ago, volunteer neighborhood emergency response teams in Petaluma promoted the use of amateur radio operators (Hams) as communicators when most normal communication tools might be inoperable due to a major disaster and the loss of power. One of my earlier blogs, “Calling All Hams,” was posted on January 17, 2010 and explained why a local Community Emergency Radio Network (CERN) made common sense in today’s world of earthquakes, floods, hurricanes and tornados. Last month, a new effort to revive this initiative got underway; however, a new name is being promoted – Neighborhood HamWatch. The NHW idea was created by Andy Gausz (KG4QCO) of the Lake Monroe (Florida) Amateur Radio Society. The following paragraphs have been copied and pasted on this blog for our readers to enjoy. “The goal of the Neighborhood HamWatch program is to provide a way for every capable Amateur Radio operator who isn’t involved in a deployed active ARES® operation to serve his/her community in an emergency communication role. HamWatch amateurs are good communicators, and have ample stations with emergency power they can use during periods of extended communication outages that often follow major disasters. These amateurs augment the active ARES® volunteers and are active participants of the emergency communications system at the neighborhood level. Petaluma area Hams (Zip Codes 94952-53-54) are encouraged to learn more about this neighborhood model by attending the next face-to-face meeting at the Senior Center (211 Novak) on Saturday, February 14, from 10 a.m. to Noon.